Up until the last year, we wondered if the first company to get a power meter under $1,000 would set the market on fire. And while Stages and Power Tap are both doing extremely well, a $700 power meter is still a significant purchase. So needless to say, athletes aren’t exactly lining up left and right with money in hand. 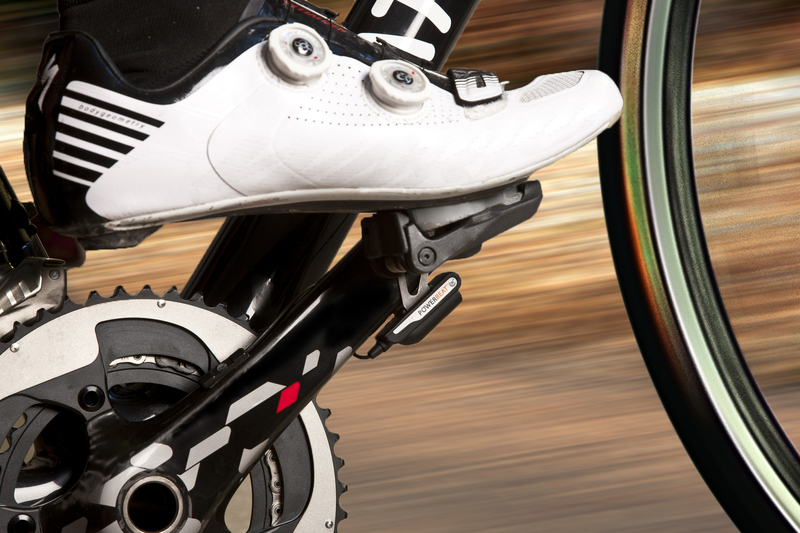 But is a $500 power meter more along the lines of a tipping point? Watteam is aiming to answer that for us in 2015 with their newly announced PowerBeat. At an announced price of just $499, the PowerBeat would be creating a new price point well below other products already on the market. 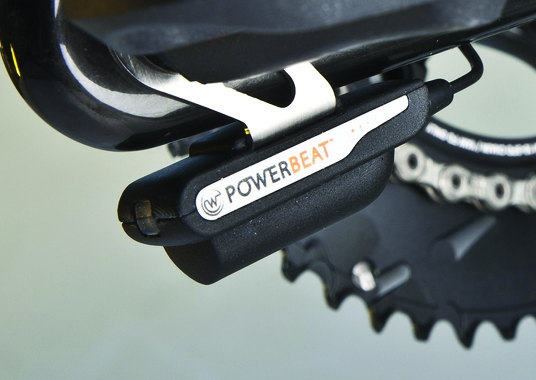 What’s more, the PowerBeat will offer full left\right data with your choice of pedals and crank arms (both aluminum and carbon will be supported). Additionally, the PowerBeat will support both ANT+ and Bluetooth Smart wireless standards. 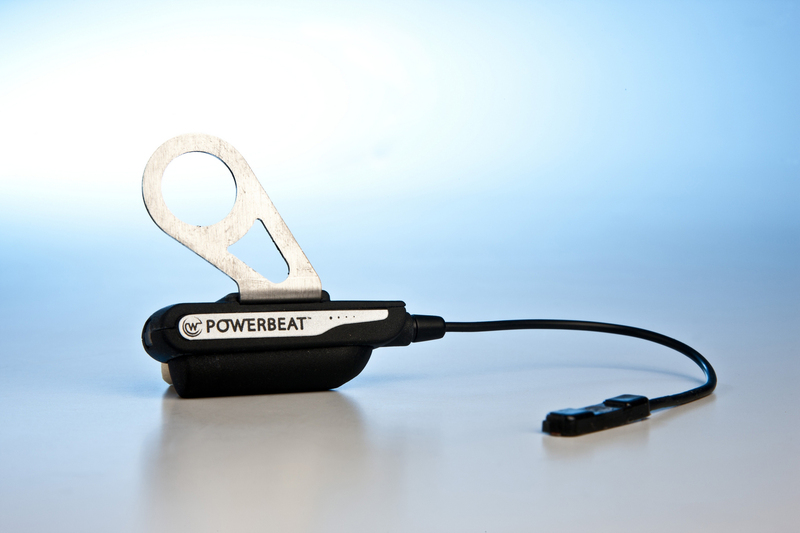 Therefore almost any cycling computer or smart phone will be able to pair with the PowerBeat. 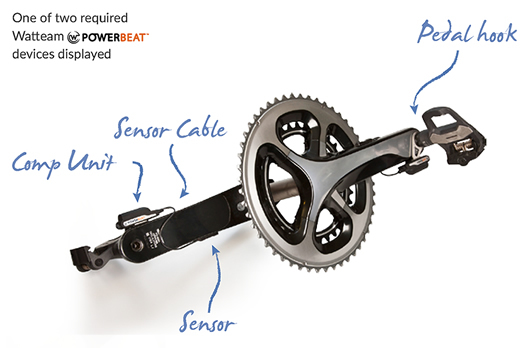 The PowerBeat is made up of four parts connected to your crank–two Comp Units sitting next to your pedals and a sensor glued to each of your crank arms (connected to each Comp Unit). The whole package is projected to weigh less than 50 grams (or 24 grams per side). The PowerBeat will use a 3.6 volt battery providing an expected 360 hours of time on the road. We cannot help but remember the old adage that if something is too good to be true, it usually is. But if the PowerBeat lives up to its promise of reliable left\right power for under $500, we cannot help but get excited. To be honest, just power alone for under $500 would have been great—left\right is icing on the cake. The really good news is that Watteam will be exhibiting at Interbike in September, so we are looking forward to spending some time with the PowerBeat and seeing just how close Watteam really is to setting the market on fire! As many have already said, consistency is much more important than absolute accuracy. If this fits that supposition then it should not help but interest everyone who isn’t a fully sponsored pro.